Get Your Dog The Therapy They Deserve At Splash Your Pup! Splash Your Pup is a leading center for dog hydrotherapy and water treatment. We're an indoor pool and dog training center in the greater Columbus area, and have a lot to offer you and your furry friend. 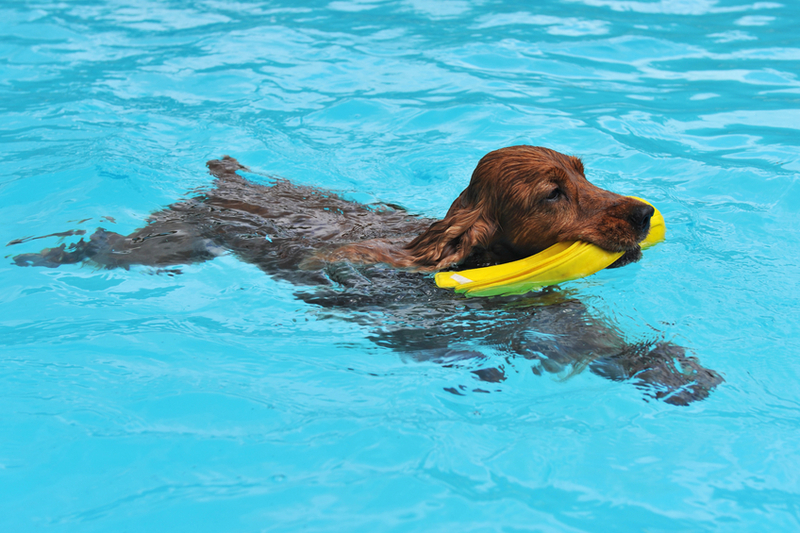 Our certified trainers and coaches will help you and your dog enjoy swimming therapy all year long! No longer will your dog be confined to the few short warm months we get here in the midwest, because our pool is open year-round! Our indoor pool facility is nationally recognized, and we're owned and operated by certified specialists - meaning that you're in the best of hands! The best part about our indoor pool is that we have the highest quality ozone filtration system that's currently available, and we combine it with our safe and non-toxic minerals. This ensures that in addition to having fun, you and your best friend are safe, sanitary, and clean in our pool. This provides a comfortable swim environment, perfect for your dog to relax and swim in. 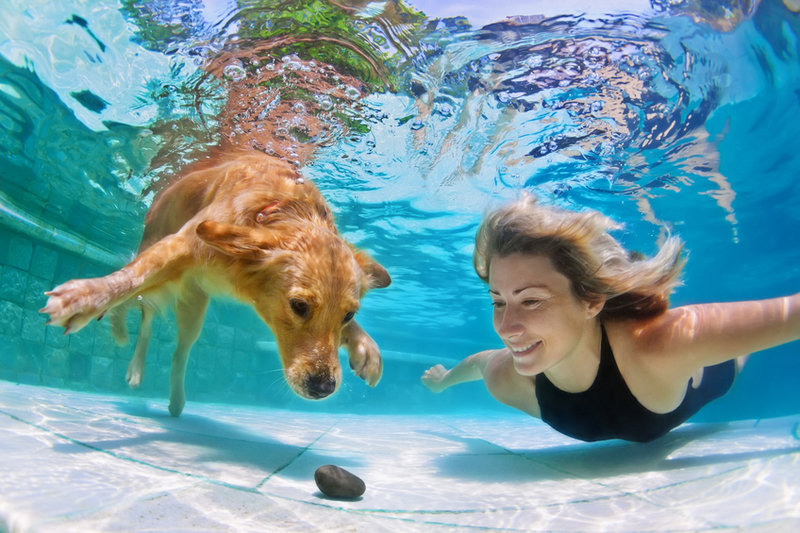 Whether the best hydrotherapy for your dog is a calming and muscle building swim, or splashing and having some much needed fun time, we're happy to provide you with the space to do so! Our members will enjoy our private swimming lessons, one-on-one training sessions, group swimming, and much more! Resistance from the water helps improve muscle strength, while working the cardio-vascular and respiratory systems. The stronger the muscles, the more resistant a dog will be to injuries sustained during typical exercise. Helps with rehabilitation from various forms of injuries. Assists in movement for arthritic dogs. Group lessons and leagues are a fun way to meet other dog sport lovers while embracing a fun competition. A dog doesn't have to jump 25' feet to have fun! Everyone here at Splash Your Pup is dedicated to the health and well-being of your furry best friend. Our experienced and certified staff is always eager and happy to answer any questions to help aid you in maintaining a happy and healthy relationship with your dog. Click here to meet our team, and see why you'll be in the best of hands! To become eligible for Open SPLASH your dog must be evaluated by our knowledgeable staff to determine that he/she can exit the pool safely, swim comfortably (life vests are always allowed), and is not in any visible stress or pain. Visit our Become a Member page to learn more, and remember - Splash Your Pup, LLC is based on FUN! Trainer assisted SPLASHes are for dogs that are not yet ready for Open SPLASHes, or for owners who want extra guidance on the dock. A trainer assisted SPLASH is perfect for Rookie SPLASHers who need more time to love the pool. If you are a current Dock Diver, we recommend scheduling your assisted SPLASH when Cheri or Danielle are on the dock. If your dog needs rehabilitation from an injury or weight loss, we recommend your SPLASH with Kathleen, our massage therapist and FitPAWS Master Trainer. Get 5 thirty-minute swimming sessions for the price of four, a savings of $30! Get 5 thirty-minute splash training sessions for the price of four, a savings of $50! If you think that your dog would benefit from dog hydrotherapy, contact us to learn more and speak with an expert team member! Or if you're in the area, stop by our location and say hello! We'd love to meet you and your furry friend.